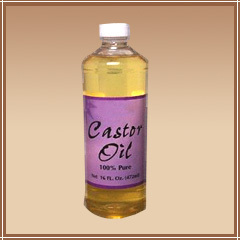 Tried and true, castor oil has been used for generations to treat calcium deposits, joint pain, constipation, cysts, sore muscles and a host of other ailments. Edgar Cayce was an avid proponent of this all encompassing home remedy. A compress of castor oil on flannel held on the affected area for thirty to ninety minutes (determined by the issue), can bring relief and assist healing. Use of a hot water bottle or other damp heat source over the compress will optimize the effect. I was able to avoid proposed surgery for a complicated hand issue, which included carpel tunnel, by applying a castor oil complex faithfully every evening for a week. Recently I found Castor Oil Starter Kits at my local health store, complete with oil, flannel, compression tape and instructions. It’s a bit messy but much less so than pain, stitches and pharmaceutical creams.